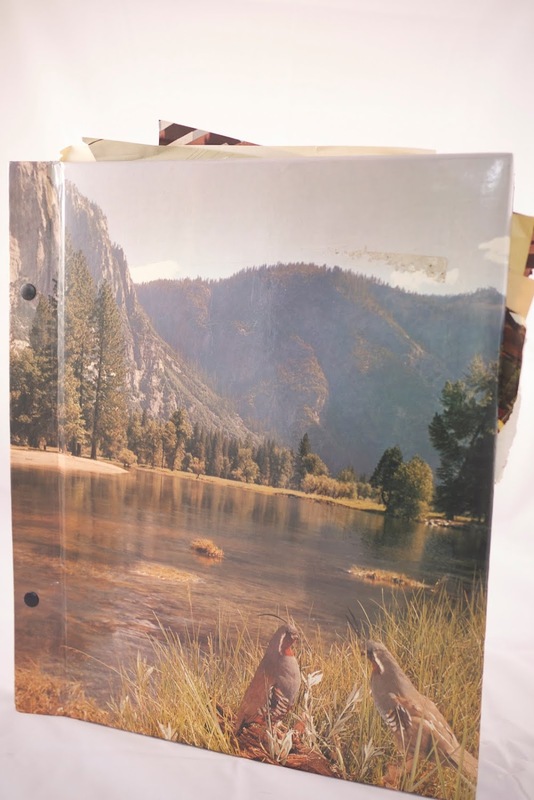 I picked up this scrapbook because of the slightly surreal landscape on the cover—those cute little bobwhites or quails or whatever they are, looking like an old couple vacationing in Yosemite, deeply engaged in conversation about the scenery—well, wouldn't you pick it up? I thought it was unused, but I was wrong. When I opened it, the contents spilled out. And what lovely contents they were! 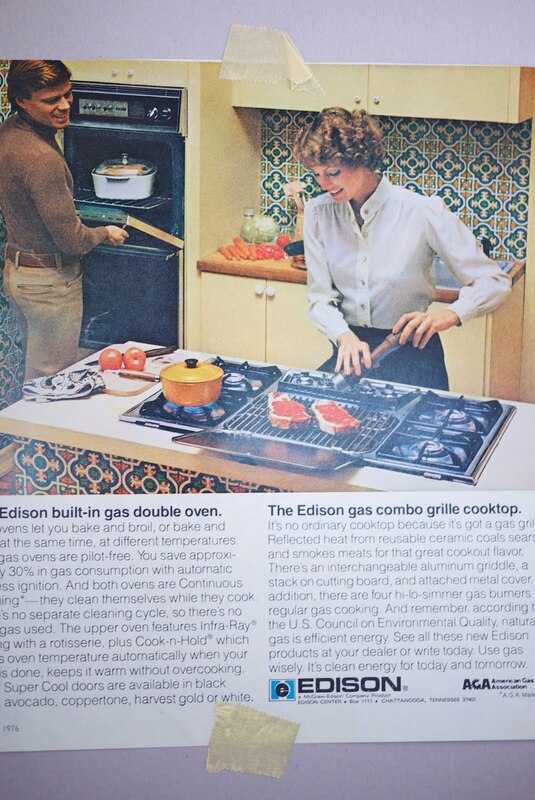 Turned out that it was a time capsule of suburban home and garden decorating ideas, circa the 1970s. 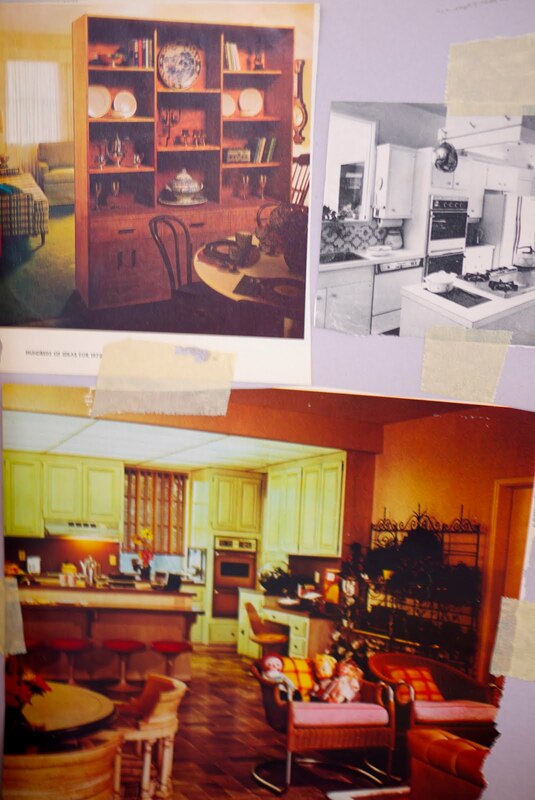 I, too, put together a book like this when we moved into our house back in 2005. 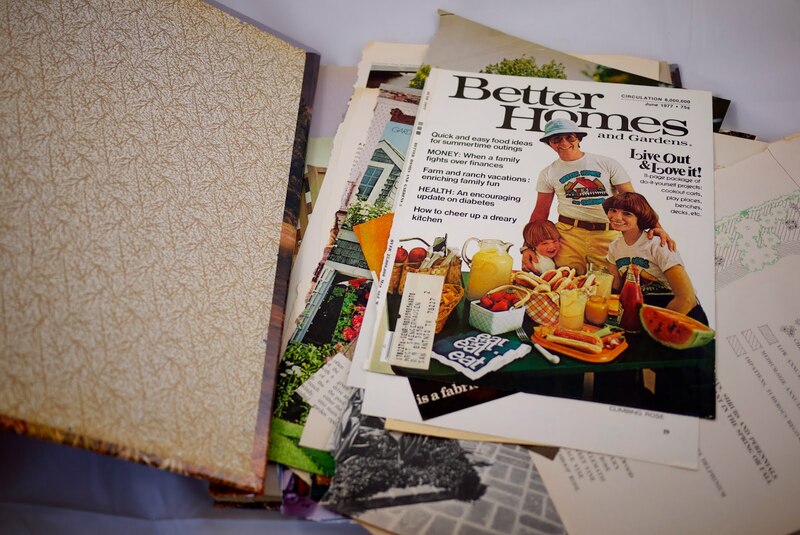 I still have it—it's stuffed with pages from Dwell, Cookie, ELLE Decor, FLOR and Room & Board and is every bit a relic of a certain age as this scrapbook. If I manage to hang on to it for a lifetime, as this person did, I'm sure it will be a source of mirth for a customer at my future estate sale. But now that everyone with clipping proclivities is on Pinterest, does anyone still collect their home-decorating ideas in a humble scrapbook? For whatever reason, this brings me to a snarky-but-not-inaccurate article in the New York Times Home section last week. 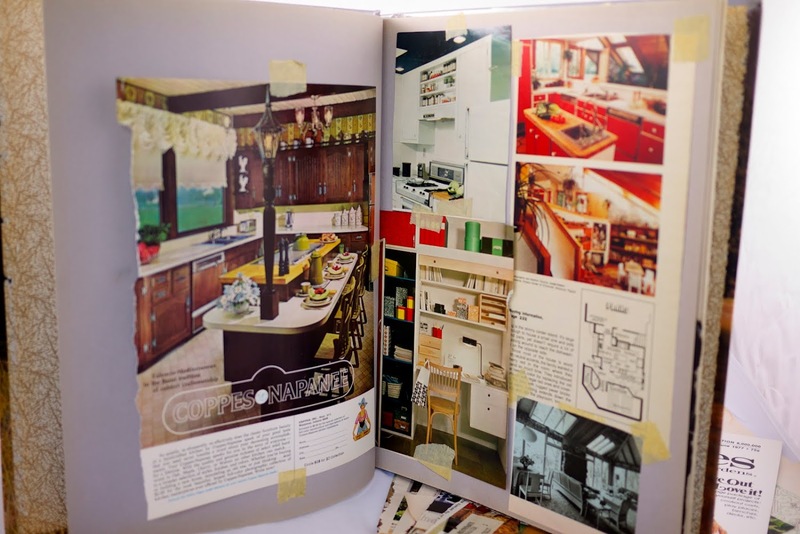 It's about how the popularity of design blogs and Pinterest has led to the rampant over-propping of homes with the same vintage typewriters and color-coordinated stacks of books and darling succulents in mason jars. I don't think this is anything new; it's just that the compulsion of the house proud to document a particularly cunning windowsill vignette on a blog or Instagram (guilty as charged) makes the design cliches seem more pernicious and widespread than they probably are. 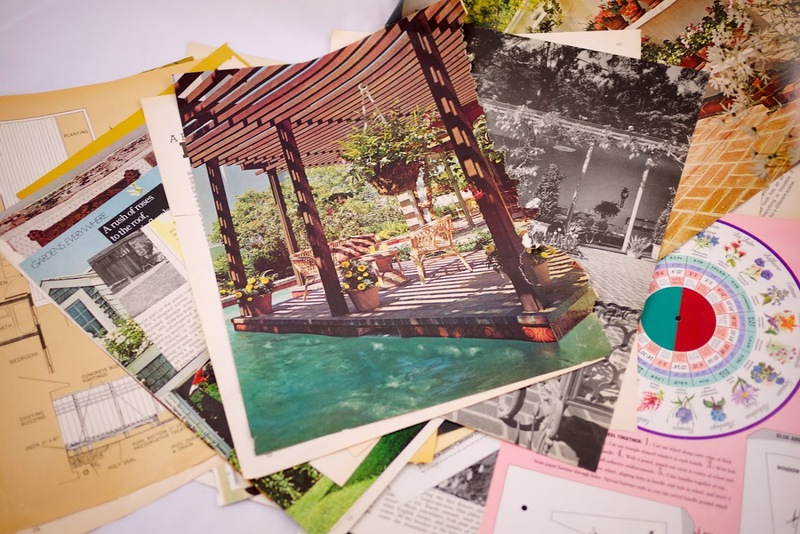 There's something to be said for keeping our ideas to ourselves in scrapbooks, I suppose, if you can live without the instantly gratifying reassurance of likes, hearts and repins. The birthday party fun never stops! Marie Cosindas, where have you been all my life? Enigmatic object #1: The key to your dreams?